We loved the city of La Paz, Bolivia. We adored it so much that we went back about four times. You can read all about our first impressions of La Paz by clicking here. Our last two times in the city had us on a mission. 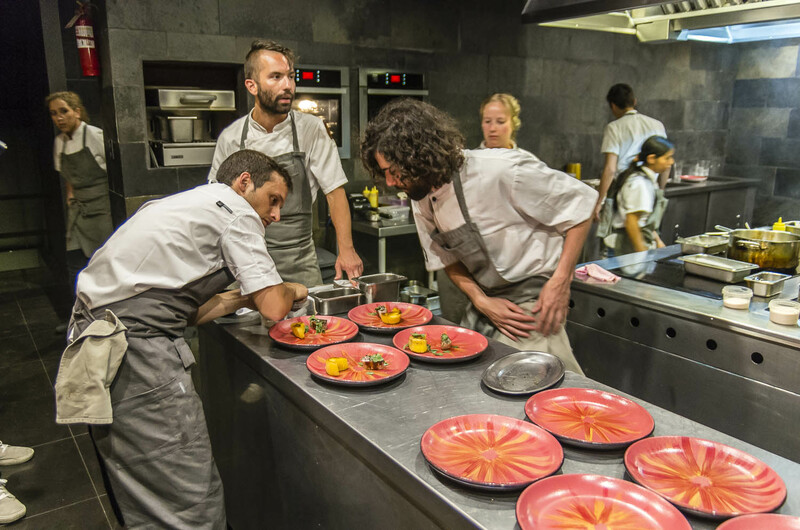 One was to eat at the upscale restaurant, Gustu, owned by Noma Danish celebrity chef, Claus Meyer. The other was to attend the food festival, Tambo, showcasing all things (food-related) Bolivian. Our final days in La Paz would find us visiting the city to experience the dia de los muertos (day of the dead). Come along with us on a photo essay, as we explore our last days in this vibrant, colorful city. 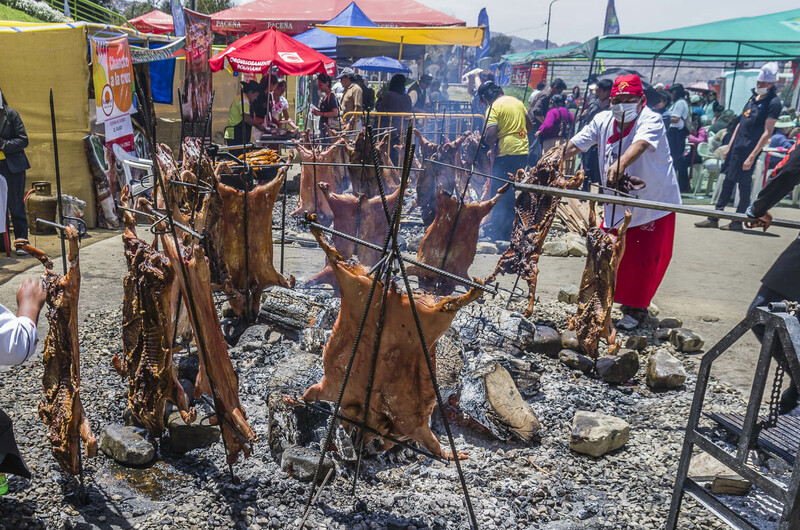 On October 16-20, La Paz, Bolivia hosted their second annual food festival, Tambo. 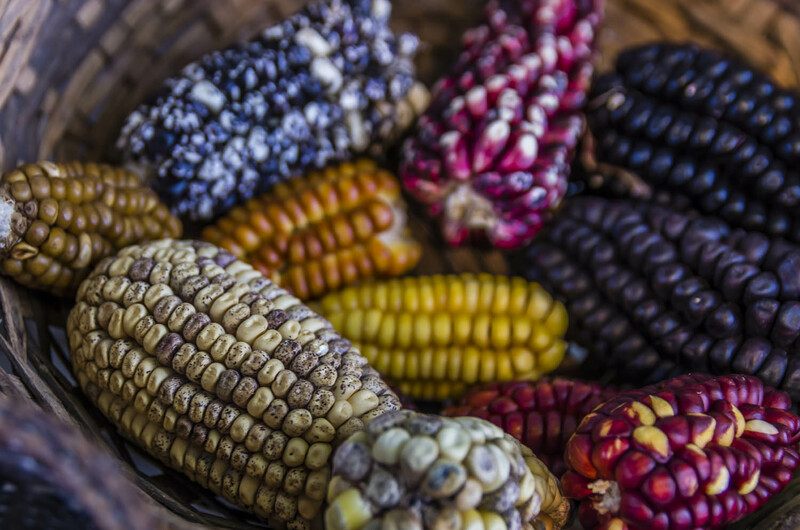 Held in Parque Urbano Centra, it aims to celebrate Bolivia’s biodiversity through food. But even more than that, it hopes to elevate the national pride of Bolivia through its cuisine. 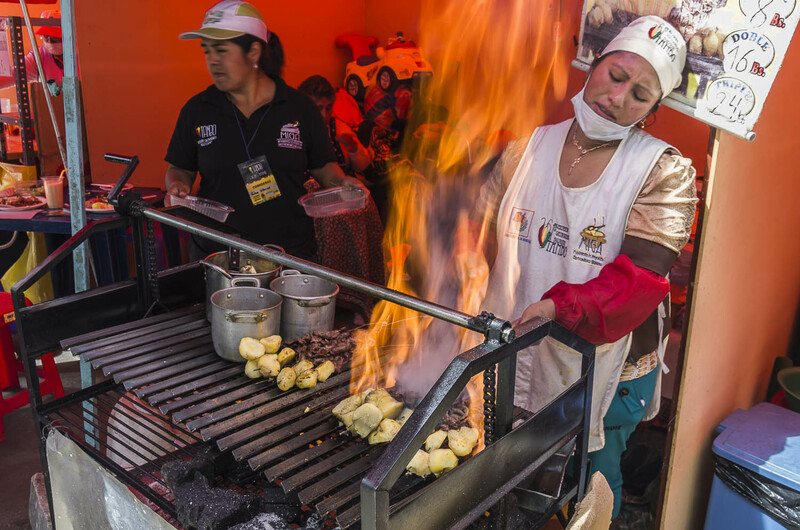 Taking after Peru’s lead, the festival features local and regional products and showcases its national dishes. 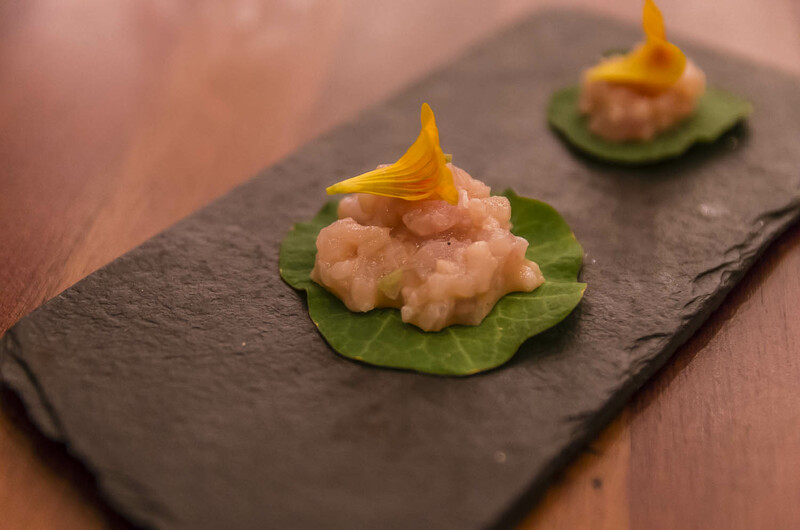 It is an exciting time for food in South America, in general, and Bolivia has caught the fever too. 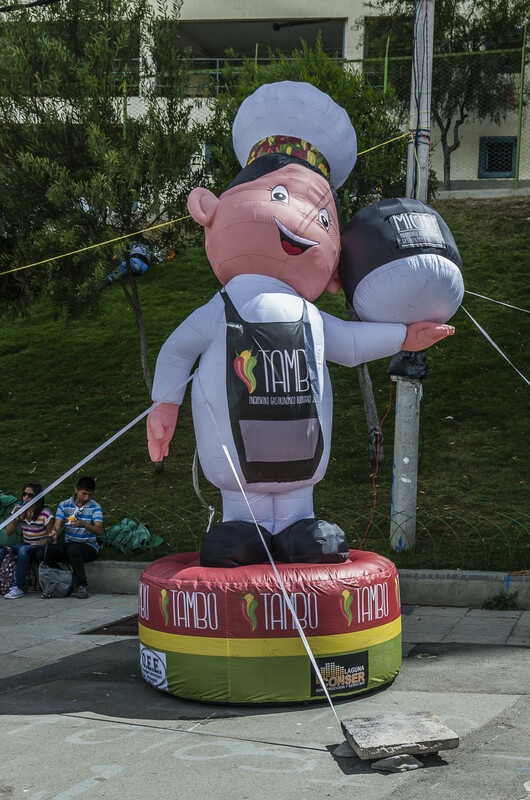 The festival was not as expansive as Lima’s Mistura, but you have to remember that Tambo is still in infancy stages. Considering it was only in its second year, I was impressed by how organized the event was and I found the quality of food very high. Also worth noting, was the increased level of food safety, which is sometimes not a big concern in Bolivia. We were happy to see all of the Bolivian regional foods represented as well as comfort foods. 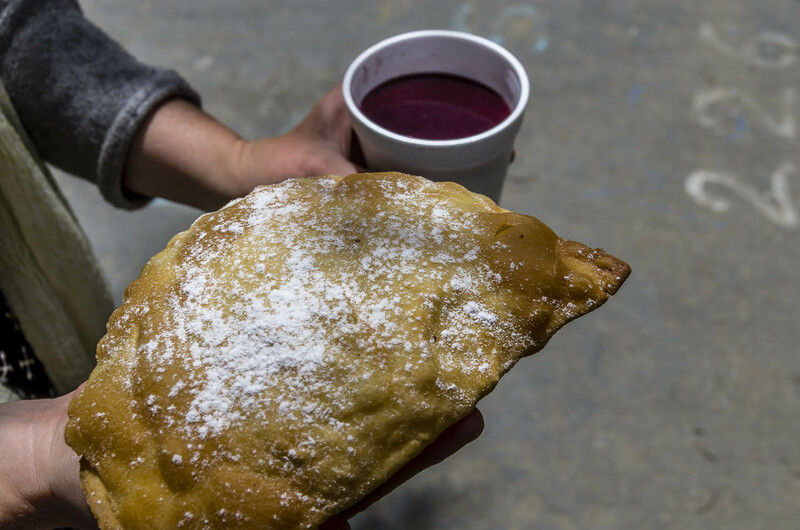 Api con pastel, in the first photo, is a quintessential (and delicious) breakfast for many Bolivians. Every day, you can visit local markets early in the morning, the smell of fresh fried dough and cinnamon in the air. Api morado is a thick beverage made from purple corn (maize) and sweetened with sugar, cinnamon, and sometimes pineapple and orange. It is served warm, almost always with a pastel de queso-which is simply lightly fried dough, & melted cheese inside topped with powdered sugar. In the next photo, a woman at Tambo grills up anticuchos-skewered, marinated beef hearts with a potato stuck on the end. While initially the thought of eating hearts repulsed me, once I tried them, I was an instant convert. Almost everywhere in the country, outside of supermarkets, bus stations or anywhere in the street, you can find the smell of bbq wafting up from these ladies masterfully grilling up the humble anticucho for less than a dollar. Since the mission of Bolivian’s gastronomy movement, MIGA (Movimiento Gastronómico Boliviano) states that one of the main goals of Tambo is to raise national pride for Bolivian food, I wasn’t surprised to see ‘stations’ set up where you can learn more about the individual products found in the country. In addition to eating all the delicious food, you could stop by these little huts to fully appreciate everything that was being served. Quinoa and corn are staples found in many regional dishes. Displayed in every color of the rainbow along with interesting information, we were impressed by the diversity of ingredients. 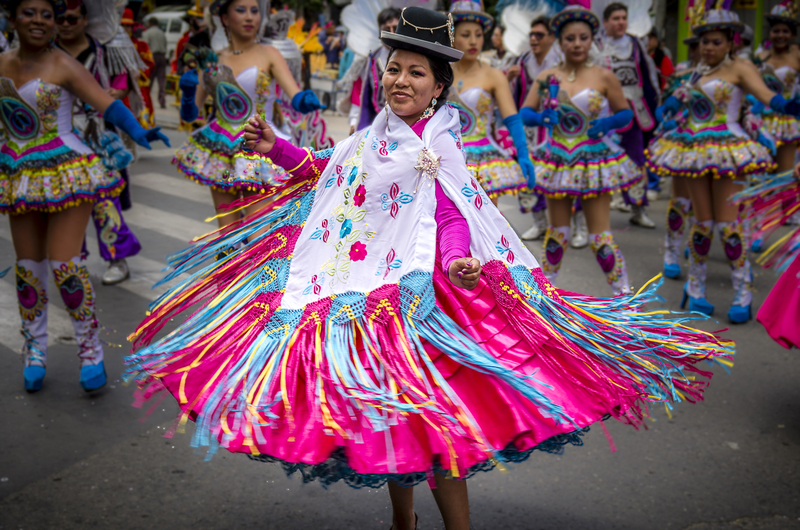 Almost every weekend, somewhere in Bolivia, there is a parade or some kind of celebration going on. It was one of my favorite things about the country. Elaborate costumes, dancing in the streets-it seemed like Carnaval was always happening. Although the parades notoriously never started ‘on time’, they were always high-energy events that attracted everyone from city-dwellers to families to tourists. Street snacks, beer and toys for the kids added to the festivities. 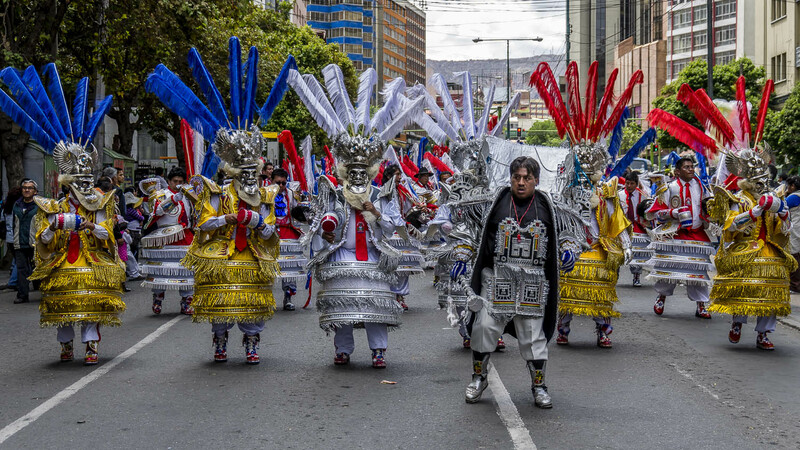 Our few times visiting La Paz, we caught three different parades, including this big one for 20 de Octubre which celebrated the founding of the city. Energy is always high in the parades. It could be, in part, due to the alcohol freely flowing. Cans of Paceña beer and bottles of Johnny walker are ubiquitous. Everyone is always willing to stop for a chat, give you a big smile or pose for a photo. You are automatically guaranteed to be amused and it’s a great chance to observe and experience Bolivians, who are normally a bit shy, let go of some of their inhibitions and have fun. Fancy cocktails haven’t caught on in Bolivia. 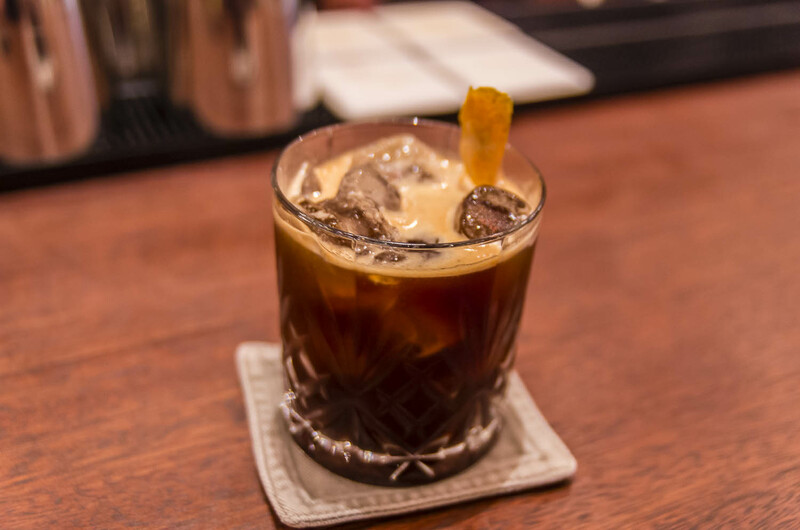 Most of the drinks you can find in bars are either beer or basic cocktails consisting merely of alcohol & a mixer of some sort. The exception is restaurant Gustu. This gourmet restaurant, recently opened in April 2013, seeks to not only offer diners a world-class, high end dining experience but Gustu also functions as a cooking school for under-privileged youth in the area. That’s right, directly at the restaurant, young, eager wanna-be chefs can learn the skills they need to be successful. The restaurant uses Bolivian products exclusively, in an effort to source and keep profits close to the country. 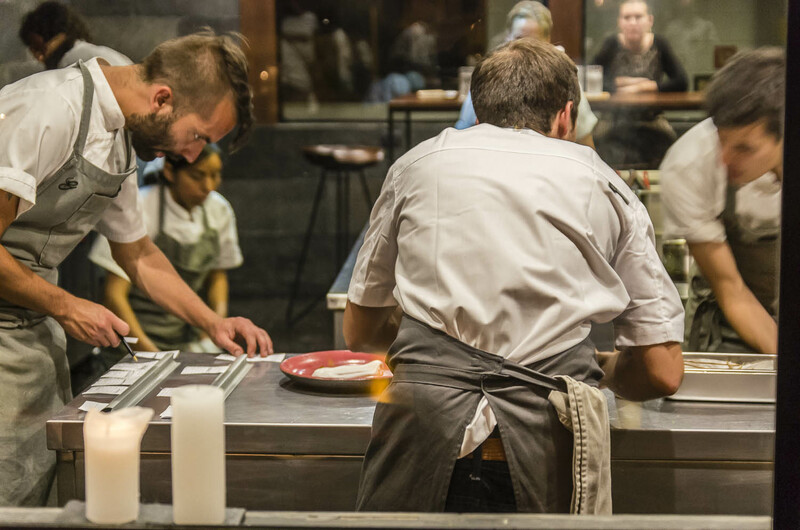 Since we happened to be in La Paz during Tambo, we were lucky enough to reserve our table for Gustu on a special night when one of the chef’s from Santiago’s avant-garde restaurant, Dugnad collaborated with Gustu’s chef Kamilla Seidler for a special, unforgettable tasting menu. For our aperitif, we were served the above pictured drink made with an aged 10 year Singani complemented by orange and bitters. (Singani is Bolivia’s national drink, which is made the same way as brandy). 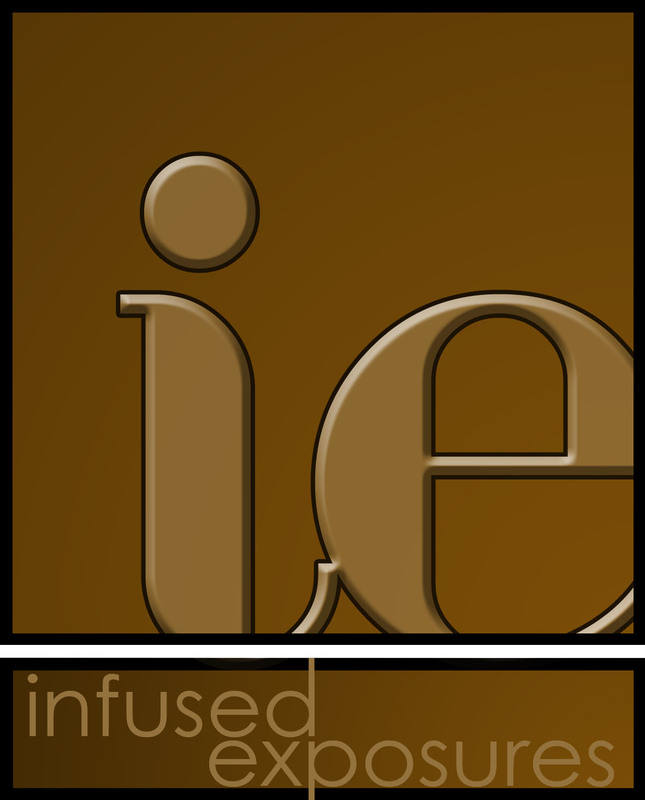 Gustu has an extensive and innovative cocktail menu using Singani as a base. 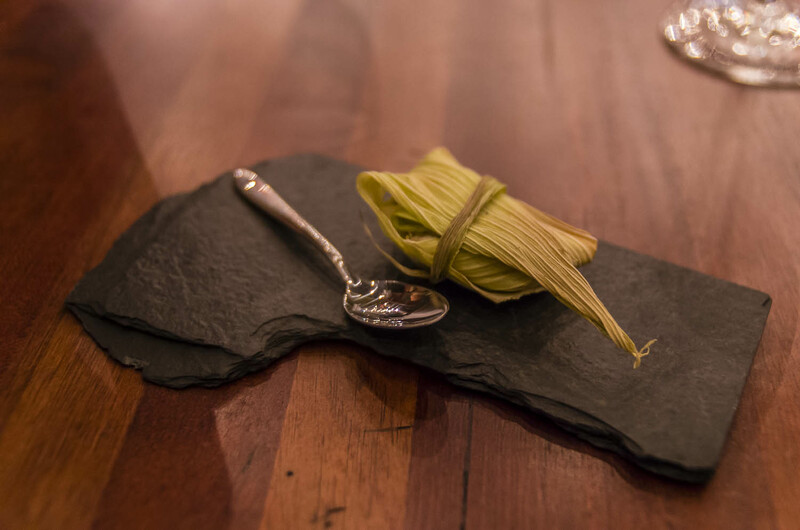 The tasting menu for our special dinner highlighted Bolivia’s biodiversity. From the jungles to the high altiplanos, the country’s regional ingredients were combined in creative, tasty ways. We received 8 courses in total for 500 Bolivianos (US $72). I have to say one thing about the price, which is considered very steep in this country. Most Bolivians cannot afford to ever eat at Gustu, which is a shame. The restaurant redeems itself by running the cooking school but with over half the country living in poverty and struggling to just eat regular food, it still remains a large inequality. Fortunately, Meyer plans on addressing this by opening a bakery and a low-cost bistro. He also adds that a large percentage of profits will go to support local projects. How did so many Danish people come to open and work at Gustu? 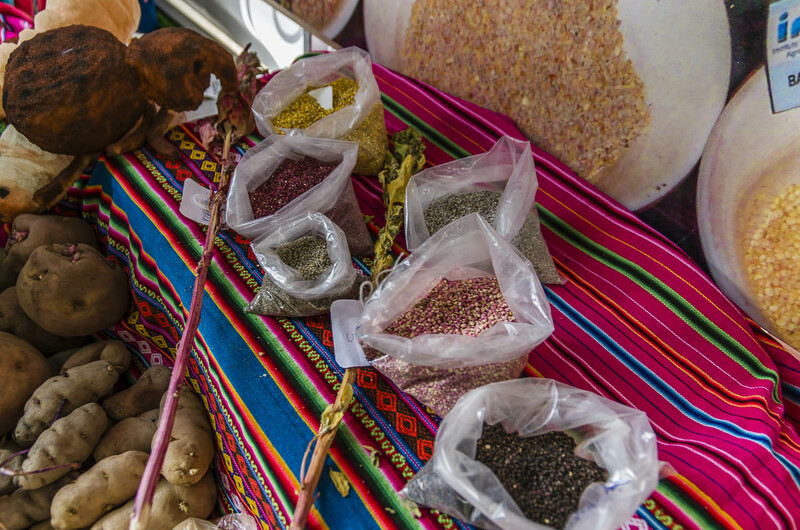 The answer is in Bolivia’s fresh, local, diverse ingredients. It’s a chef’s treasure trove & so it attracted Claus Meyer and a Danish team to come to the country. I was a little disappointed at the lack of native Bolivians employed at the restaurant but I hope this too, will change over time. Despite this, I still recommend a visit to Gustu, especially if love fresh, locally-sourced, creative cuisine. We were allowed in the kitchen to watch the bustling scene. The chefs moved efficiently, plating the foods with great care. The entire space of Gustu, including the enormous, modern kitchen, is reminiscent of Scandinavian architecture. Lots of clean lines, wood, metal and large open spaces. Tasteful and contemporary. 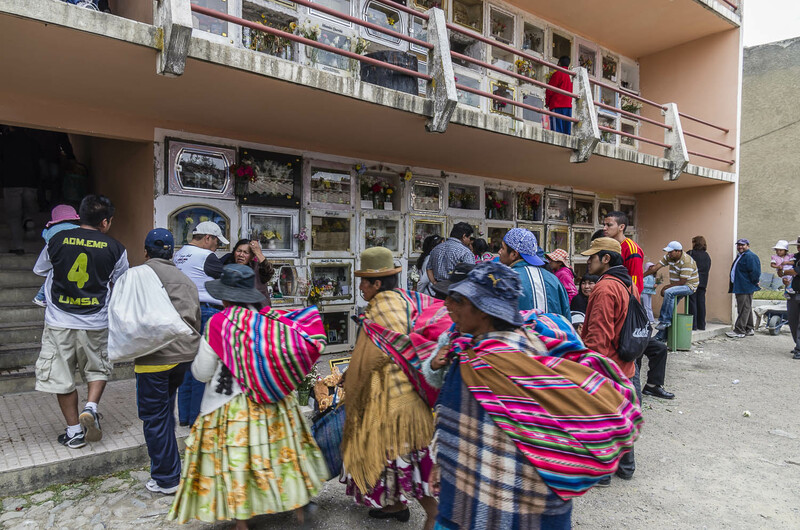 Dia de los Muertos (Day of the Dead), held on November 2 in La Paz, Bolivia, is a day reserved to celebrate the lives of those that have passed on. It precedes All Saints Day (Todos Santos) on November 1. 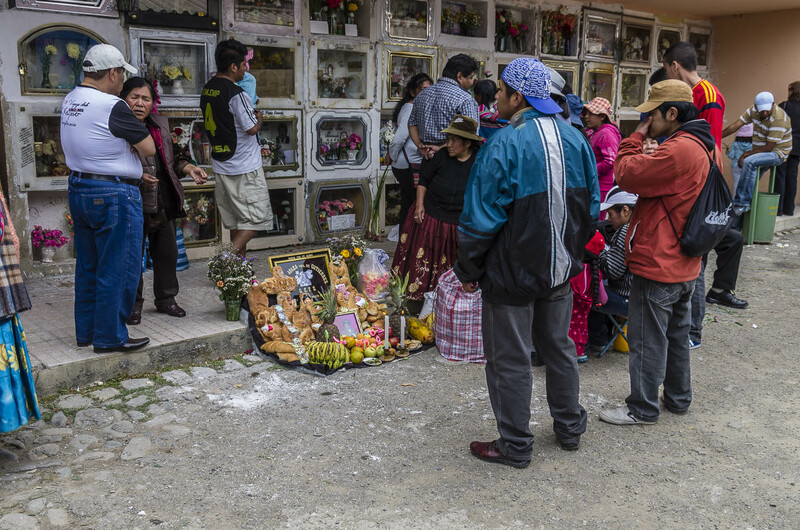 For most Bolivians, this day involves preparations for the day of the dead. In the week preceding these dates, cemeteries are cleaned up and painted fresh. Great feasts are prepared in anticipation of the dead coming back to the world of the living for the day. Doors are left open so that the spirits can enter and exit freely. Favorite foods of loved ones passed are cooked. 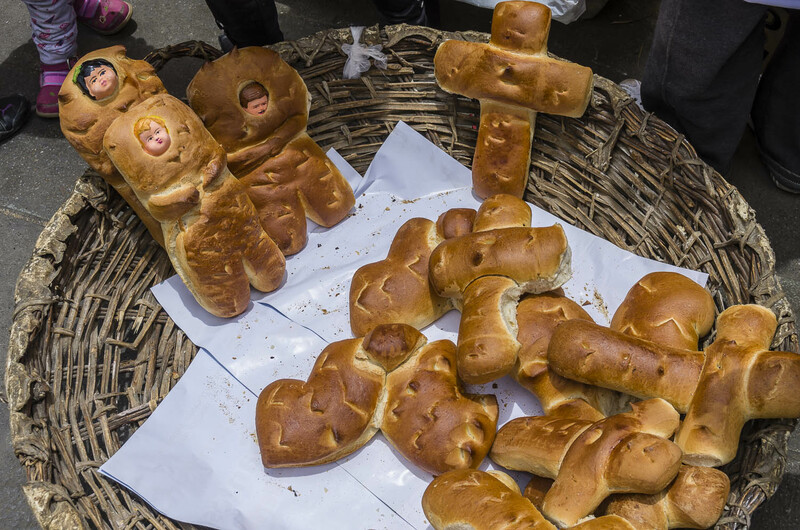 Tantawawas (the breads in the first photo) are baked in all shapes and forms including ones that look like babies with clay heads baked inside, crucifixes, ladder shapes (for the souls to climb to heaven), stars and angel wings. Some of these breads are gigantic and all around La Paz, even in some restaurants, small shrines were set up to honor the dead. Many years ago, before the Spanish arrived, the dead were embalmed. On the day of the dead, they were taken out of their tombs, danced and dined with and then after celebrating, placed back in their tombs. The Spanish forbid them this ritual and so nowadays, often a family member will dress up like the person who has died. They take part in the celebration & later, children chase them back to the cemetery waving palm fronds-just to be sure that the dead person’s spirit decides not to remain in the body of the living. Dia de los Muertos is a festive memorial. People aren’t sad or walking around crying. Dining tables are set up at home and a place is set for the family member who died. A white tablecloth is used for a child and black for an adult. The door is open and people can come in and out as they wish. The favourite foods of the departed is offered to the guests. Usually the dead arrive at noon and then leave the next day at the same time. Another feast is cooked this day too because the dead need a lot of energy to cross through the worlds. Often times, the family will bring food to the cemetery and eat at the gravesite. Music is played with guitars and singing. Tantawawas are placed around flowers, candles and fruits as offerings. Family members take time to remember their loved one. 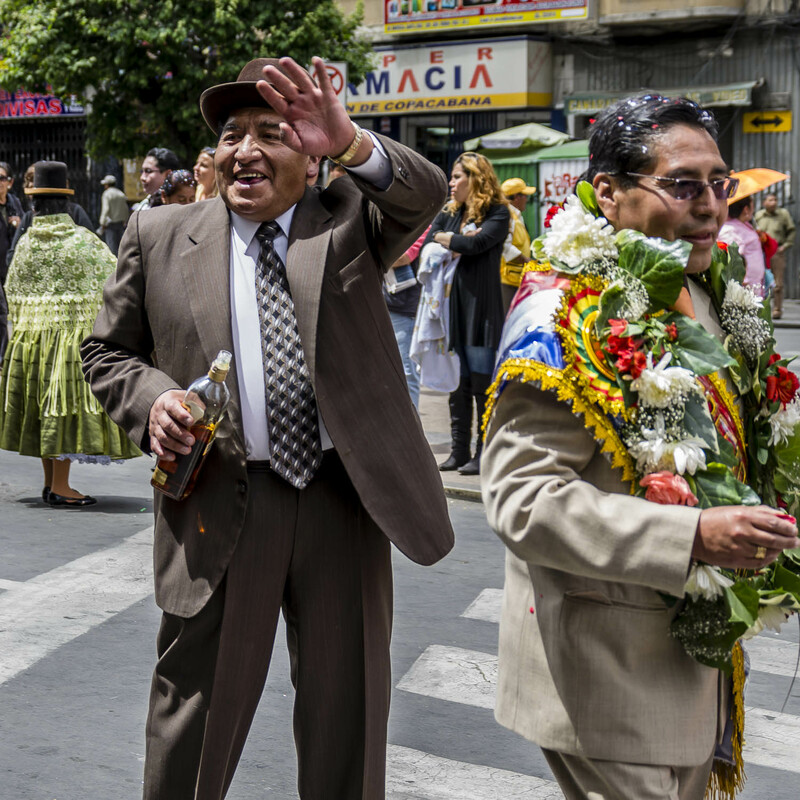 It was beautiful to witness this celebration going on everywhere in La Paz. 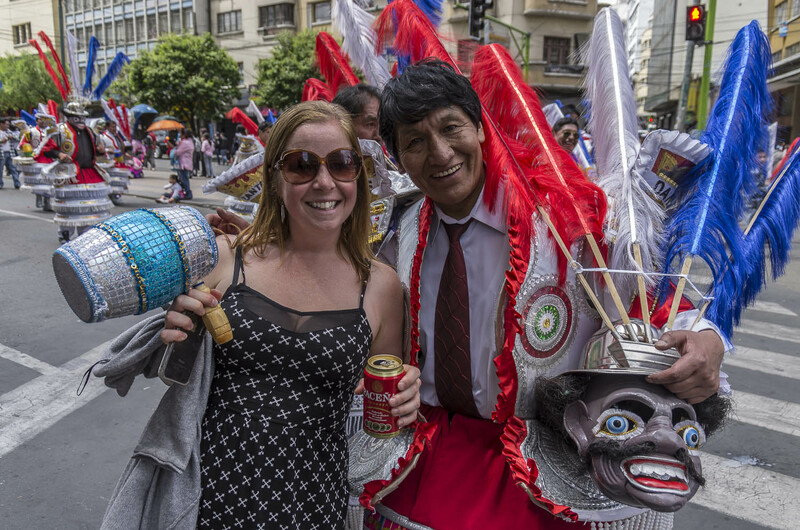 I loved learning about these unique days and being able to witness these festivities was a very special way to spend our last days in La Paz. After our last hurrah in the city, it was time to leave Bolivia. We spent three months discovering this striking, culturally rich, geographically diverse, extraordinary country. La Paz never ceased to surprise, delight and entertain us. It will forever remain one of our favorite countries that we were lucky enough to travel through. 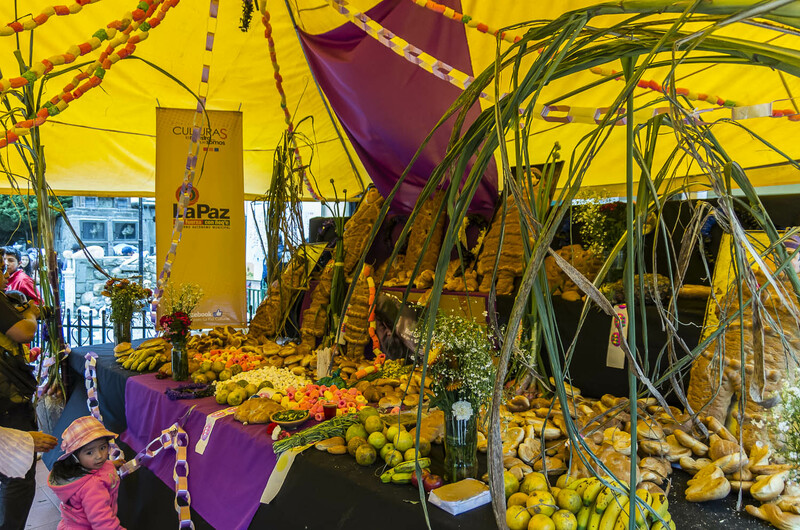 What a massive celebration of food in your last few days in La Paz. I can feel my belly bulging just reading about it. I know that Gustu got criticism when it opened for being out of reach cost-wise for most Bolivians but it sounds like they’re working hard to give something back to the community. Wow I actually would like to experience the parade( so colorful), awesome looking food, and atmosphere in La Paz in November one year! Amazing pics as usual, so jealous!!! !